The Hammer company is best known in the UK for producing a series of horror films from the 1950s to the 1970s, some genuinely creepy, others rather schlocky and sensational. Recently, in association with Arrow Books, Hammer has published horror novellas from esteemed writers such as Helen Dunmore and Jeanette Winterson. 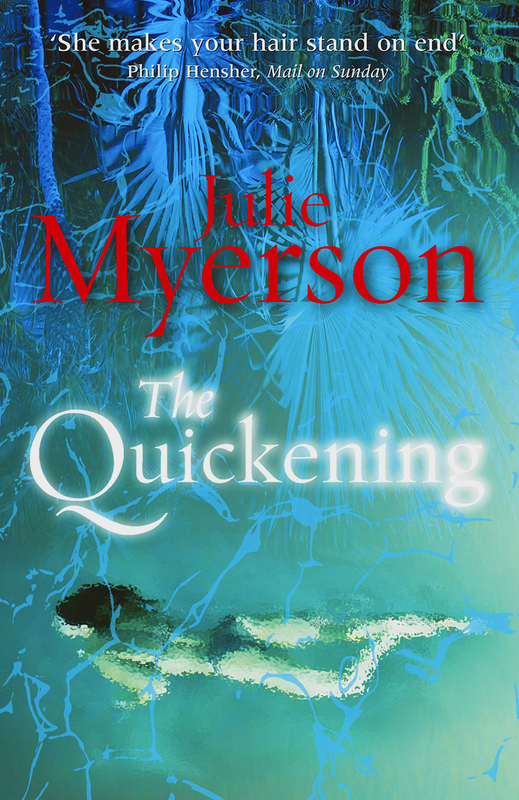 Julie Myerson joins their ranks with an original novella set on the Caribbean island of Antigua, featuring honeymooning couple Rachel and Dan. The trip seems doomed from the outset. Rachel, unsettled by an unplanned pregnancy, reluctantly agrees to go on Dan’s surprise honeymoon and makes an effort to enjoy herself at the luxury resort. Things soon go wrong, however, when Rachel finds herself haunted by a strange apparition, a blurred figure that calls itself Hamilton. Furniture moves, glasses smash, a young maid is strangled, and Rachel seems to be at the centre of the action although she has little memory of what has happened. Staff at the resort warn Rachel to take Dan and leave the island as soon as she can but Dan is determined to enjoy his holiday and persuades her to stay. Things spiral out of control with another murder and Rachel becoming increasingly afraid of Dan. 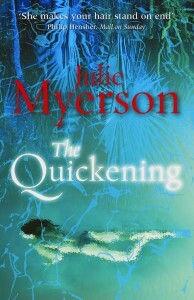 Myerson’s tale is suitably creepy and Rachel is a sympathetic heroine. Dan humours Rachel when she tells him of her dreams and seems to think she is making up the strange happenings. This leads Rachel to look at her new husband afresh and examine their relationship. She soon realizes that the hairline cracks that she had tried to ignore have become deep fissures of distrust and dislike. She wonders what she ever saw in Dan and becomes desperate to get away from him and the island. Her only concern is keeping her baby safe and feeling its movements is her only comfort. The quickening of her baby is mirrored by that of Hamilton as he becomes stronger. As odd things happen, Rachel initially seems strangely willing to put them to the back of her mind and try to enjoy her holiday. This jars slightly but Myerson is in full control of her material. By the dénouement Rachel’s bizarre dreams and sudden changes of mood suddenly make perfect sense. It is a tricky ploy to pull off but Myerson does it with aplomb. She creates a genuinely disturbing character in Hamilton, a not quite human creature that only Rachel sees, and his malevolence is tangible. The tale of a relationship on the rocks makes for an emotional backdrop to the supernatural haunting and Rachel’s suspicions about Dan keeps the tension high. Designed to be read in one sitting, this would be a perfect choice for that lazy afternoon on the sun lounger by the sea.